Good news, gamer nerds! You’ve waited twelve long years for a sequel to Starcraft. And the internet has heard your lamenting, and has delivered just what want. 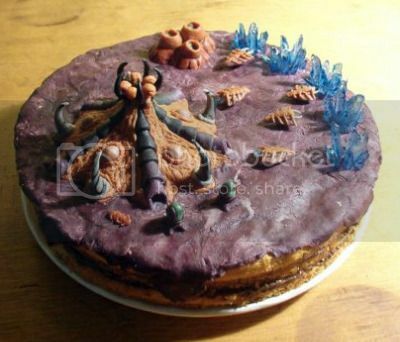 Well, the internet made you a cake. But, still. That’s not bad for a series of interconnected tubes. Via corcho lat by way of Geekologie, who could deliver just what you want if only his ears weren’t surgically tuned to ignore lament.